When it comes down to it, our girlfriends tend to appreciate our outfits more than anyone else because they understand the effort that goes into putting together a killer look. That makes girls’ night the perfect time to pull out a bold statement piece, try a new trend, and get playful with accessories. To help, we’re sharing three foolproof outfit formulas that’ll have you feeling inspired for your next night out. Keep scrolling for our tips on how to let loose in style. One way to stand out from the crowd? Striking hues. Opt for a dress that features a swingy silhouette (perfect for dancing the night away) in a color that makes you feel your best, then select a clutch with quirky detailing to help dial up the fun. Never underestimate the power of jeans that hug your curves in all the right places. 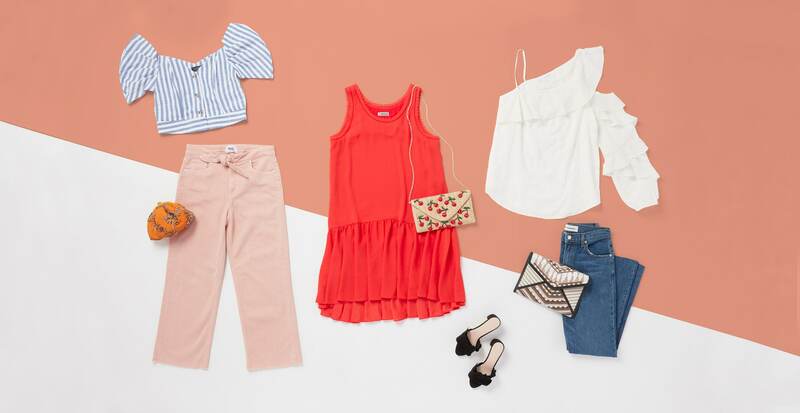 Style your favorite pair with a flirty top that shows a touch of skin and finish with textured accessories for a modern look that says you’re ready to get your night started with a martini (or two). Nothing shows you’re ready for a fun night quite like an outfit composed of mixed prints and unexpected silhouettes. 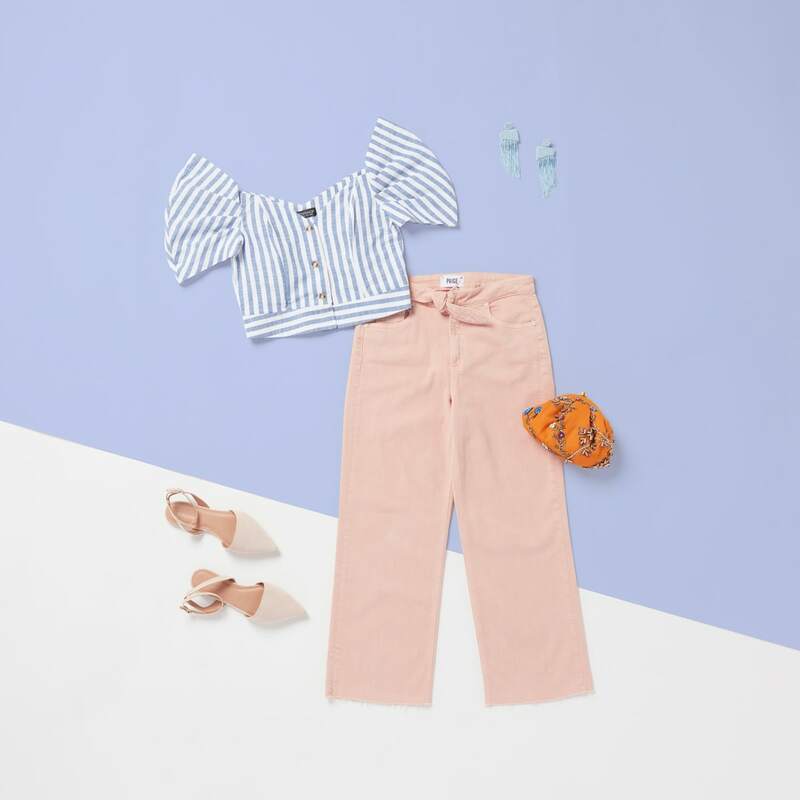 We’ve balanced this shoulder-baring top with wide-leg denim and beaded accessories for a look that’s definitely worthy of an impromptu photo shoot with your girls.